This mammogram was supposed to be routine, the kind where I get a letter a couple days later to say NORMAL, come again next year. But I have had far too many routine medical tests turn into emotionally exhausting pile-ons: Wait! What’s That?!? let’s look again. and now again with a different machine, and also this needle and perhaps a knife too. Along this bumpy way I have discovered the bookstore antidote, and so, now finished with my mammogram but stuck in the waiting period, I stopped at Barnes and Noble on my way home. 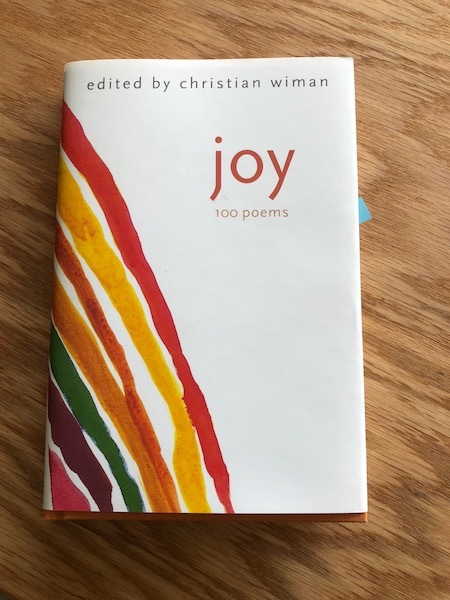 Poetry has become a solid handhold in my pushback to anxieties and fear, and this day I was surprised and delighted to find the latest book from Christian Wiman there. Somehow I’d missed even knowing it was a thing. The colors, the type, the white space. three letters combined. Simple, and yet so very not. 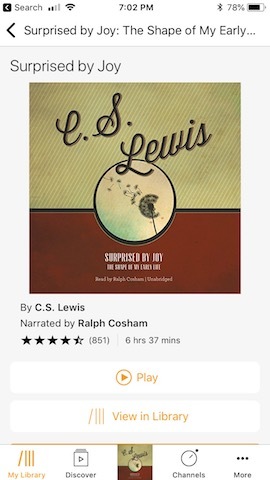 Never mind the Amazon reviewer who said the cover was wrong! In that moment, I experienced it as a gift. As grace. And I reached for it. The joy that knows the depths of my fear, my grief, my pain – and holding that true – yet calls my soul to rise. to live. to love. (dare I say) to dance.